Current probes allow you to measure DC or AC current. Yokogawa's selection of current probes allow measurements ranges up to 500 ARMS and bandwidths up to 100MHz. Current probe front-end powered, recognized automatically and adjust zero position from the operation of the DLM2000, DLM3000, DLM4000, DL6000/DLM6000, DL9000/DLM9000 and SB5000 series. 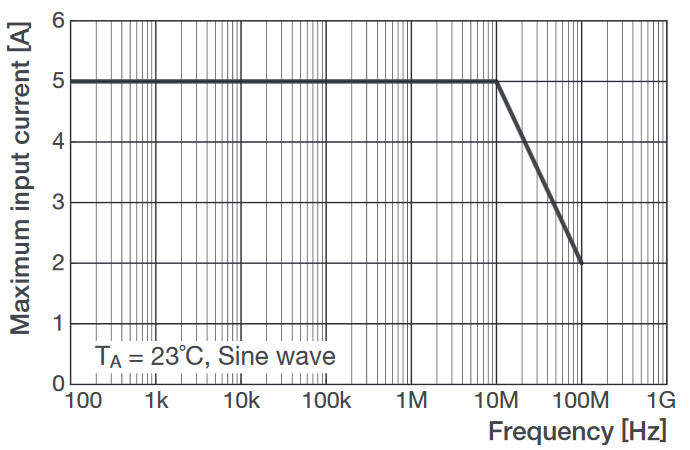 When using the DL/DLM/SL main unit to power the current probes, make sure that the total current consumption of the probes does not exceed the unit's probe power rating. For the probe power rating of each model, please check by the following information. 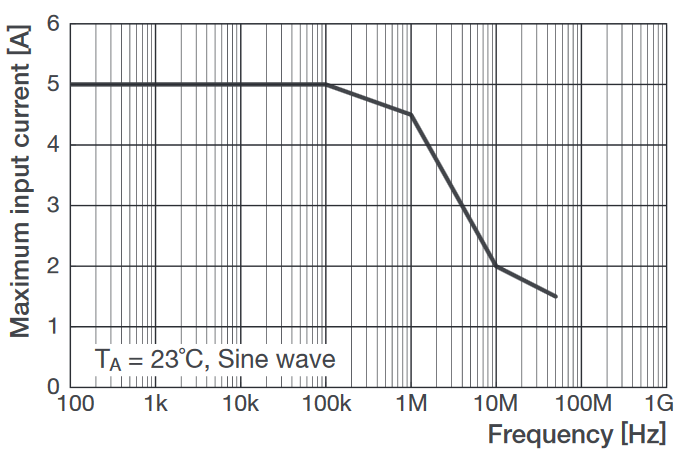 as the frequency increases, the maximum input current rating decreases.